I admit that I am a beauty junkie and anything that can go wrong in my makeup look or routine feels like a total disaster. I want everything to look polished and it is an unspoken law among women who wanted to face the world with confidence. What does it take to stay on fleek al the time? First, you just have to look fresh to look well-maintained. For example, Ms. Yassi Pressman, a Dance Floor Maven and Television Personality shared that "It doesn't take much for me, really, I try to stick to the basics no matter how busy I am. When my schedule is really hectic, I just put on cheek tint, mascara and swipe on my trusty lip balm." For a busy and always on the go lifestyle, it is how she manages to looking on point all the time. Second, the lips are very important to complete our polished look. Dramatic or subdued, keeping our lips healthy and moisturized is a must. Until now, I love trying out several lip balms and I use different flavors every day just to match my current mood. Now I have a new brand to try for the first time. With the brand Lip Pure, a new and all-natural beauty product by international OTC and health care company Mentholatum, offers its unique formulation and ingredients. It contains all-natural components that are sure to be safe for the skin. Lip Pure has a 100% food grade ingredients that will make you go all natural! I know a lot of people are highly allergic to chemical ingredients specially in lip and skin care products. It is always safe and efficient to use products that has natural ingredients. Lip Pure is a good option because it has a gentle beeswax formulation and 100% food ingredient. It is also free from colorants and preservatives. Hydration of the lips is the secret to healthy looking lips. In the weather that the Philippines have, its dry and sometimes humid heat causes a toll in our skin and lips. My lips tend to have dry patches and lip cracks. I need to moisturize my lips every now and then. Lip Pure is formulated with royal jelly and manuka honey to keep the lips moisturized even during the extreme weather. Additionally, its moisturizing qualities are made even more effective with a combination of natural ingredients like almond oil, aloe extract, shea butter oil and jojoba oil for deep hydration and long-lasting moisture. I do believe that no amount of makeup can cover up dry and unhealthy lips and you can observe it whenever I review lipsticks. I take care of my lips by wearing lip balms and still most of the time it is not enough specially when I wear lipstick everyday. Other than boasting, all-natural ingredients, Lip Pure is also infused with anti-oxidants like Vitamin E and grape seed oil. You can also choose from a fragrance free lip balm or an orange flavored one. The Mentholatum who made the Lip Pure lip balms also made other variants that you can also try. Mentholatum is manufactured in Orchard Park, USA. In Asia, their regional office is in Hong Kong. If you wanted to wear lip balms and still have different shades on your lips, Mentholatum Company offers LipIce Tinted Lip Balm. They offer quite a variety of tinted lip balms. 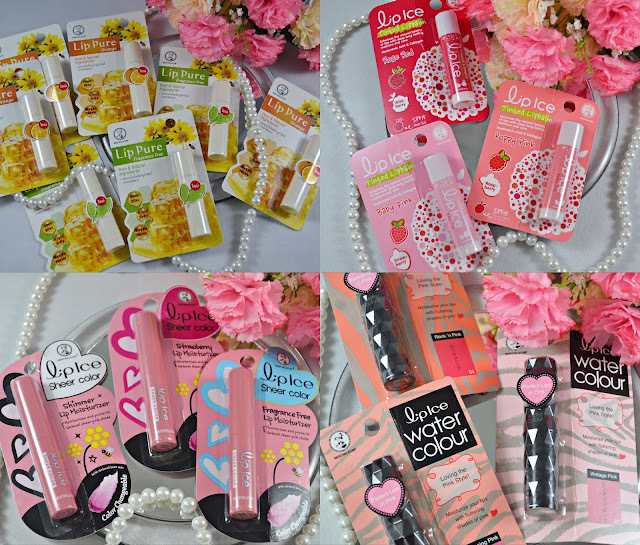 Besides the LipIce Tinted Lip Balm, they also offer the LipIce Water Colour. For a sheer look, Mentholatum also offers LipIce Sheer Colors. Now, that is a plenty of choice, right? Lip Pure Local Brand Ambassador, Yassi quoted that "I think that perfecting the basics is a simple but effective way to always look your best. It's not just all about beauty. As much as possible, it is best to go with products that are safe as well.". Lip Pure is the perfect ally for those who want to keep themselves well-kept while still caring for their lips.